Art Gallery Cards: 2017 Calendar Card, Oh Those Sweet Succulents!! Time for Valentines!! 2017 Calendar Card, Oh Those Sweet Succulents!! Time for Valentines!! I LOVE making Christmas cards but it's always, literally, a "breath of fresh, spring air", when we start making cards using pastels and red and white valentines. So we're off and running! Here are last week's projects at The Art Gallery of Viera and the Cocoa Beach Library classes. Don't you love the colors for the succulent products??? I just can't get enough Sweet Sugarplum!! Use your flattest cutting plates! The Sealed With Love Bundle is just amazing. We used it for both projects! 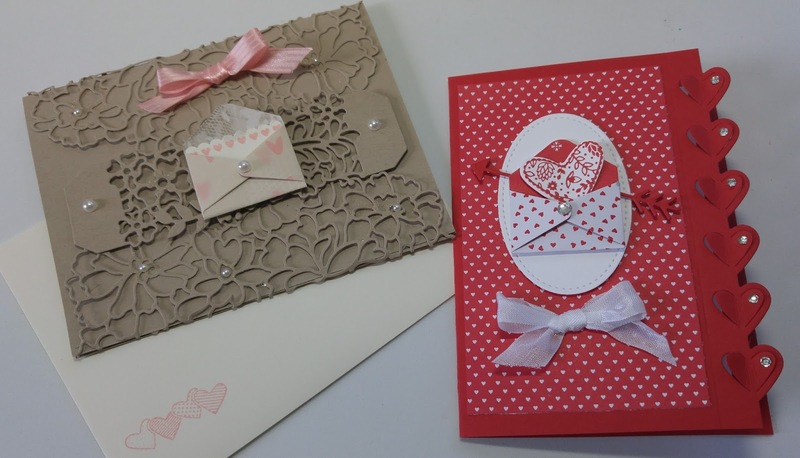 Add the Sending Love Designer Paper Stack and you are in business!! !